The best writing on sexual harassment this year. The most searing, honest, forceful, precise, paradigm-shifting writing on sexual harassment this year. 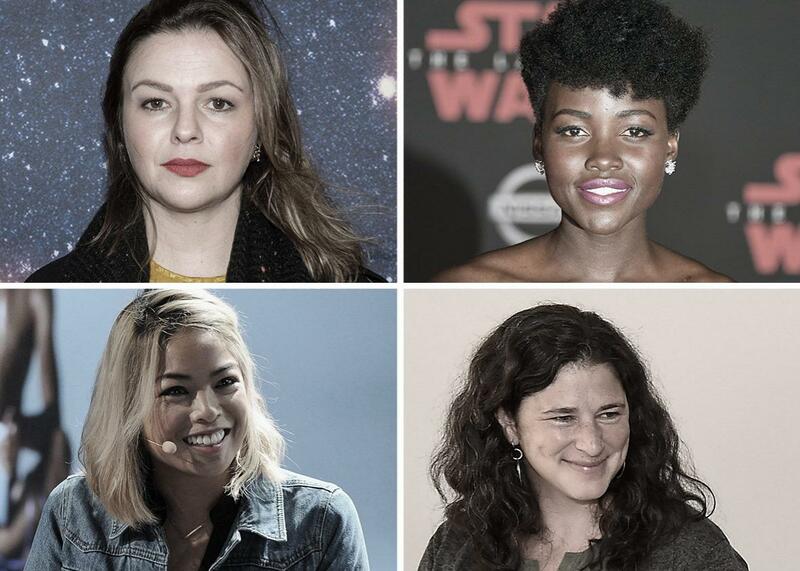 Clockwise from top left: Amber Tamblyn, Lupita Nyong’o, Rebecca Traister, Jia Tolentino. Photo illustration by Slate. Photos by Noam Galai/Getty Images for Meteor Shower, Ethan Miller/Getty Images, Nicholas Hunt/Getty Images for Glamour, and Craig Barritt/Getty Images for the New Yorker.